The 24th annual Nights of Lights draws to a close Jan. 31. 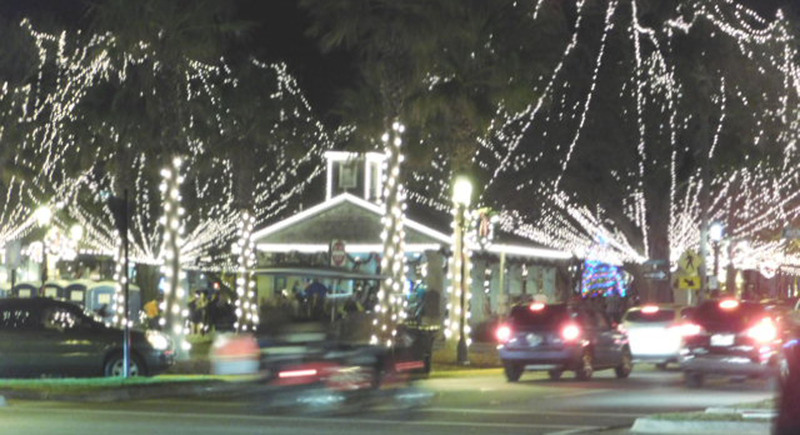 As it has been since the beginning of the program, the City of St. Augustine is responsible for the installation and maintenance of displays on over 100 public properties, and financial support for the program comes from the city and the St. Johns County Tourist Development Council. But the enormous impact of the Nights of Lights is dependent on the participation of private property owners who willingly participate in the program at their own expense. And just as widespread participation is the key to the success of the Nights of Lights, cooperation is important now as displays are turned off. According to the city’s ordinances, “exterior display of holiday lights within historic districts is allowed only during the holiday season from the third Saturday of November of each year through January 31.” The start of the Nights of Lights’ 25th season, its silver anniversary, will be on Light-Up! Night, Saturday, Nov. 17, 2018. The Florida Trust for Historic Preservation (FTHP) is now accepting nominations for the 2018 Statewide Preservation Awards Program which recognizes significant contributions to the preservation of Florida’s historic resources by awarding outstanding historic preservation projects, programs and achievements by individuals as well as organizations. The program is open to any individual, organization, business or agency that is involved in historic preservation in Florida. There is no limit on the number of nominations that one applicant can submit. While nominations of individuals may be made without the knowledge of the nominee, and self-nominations will be accepted, in order for properties to be nominated the owner must provide written consent. Deadline for nominations is March 15, 2018. For more information visit the Florida Trust for Historic Preservation’s web site at www.FloridaTrust.org, or contact Jenny Wolfe, the city’s Historic Preservation Officer and secretary of the FTHP Board of Trustees, by phone at 904.825.1065 or by email at JWolfe@citystaug.com.